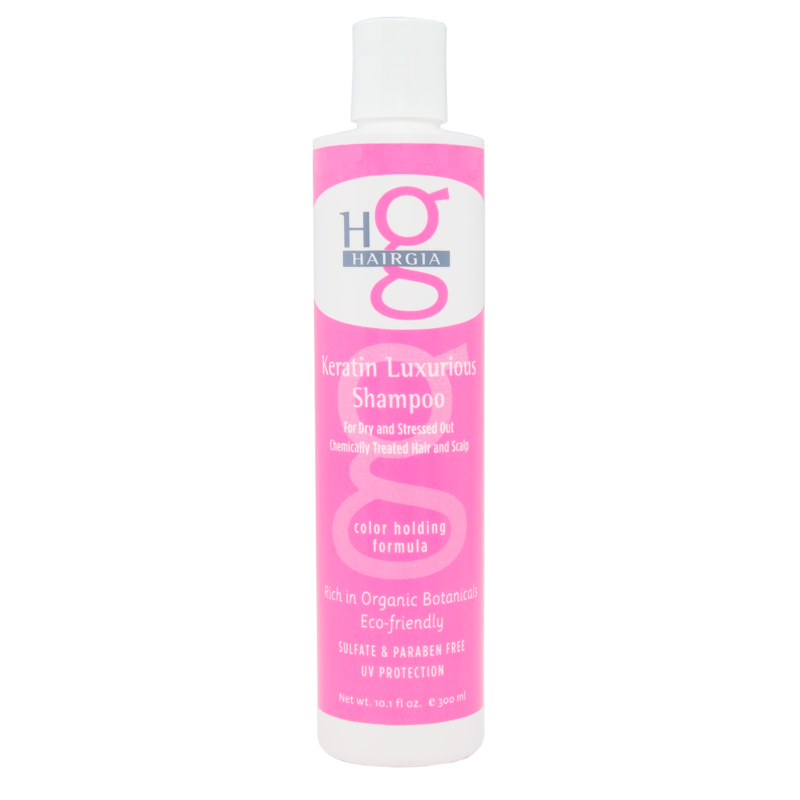 Our Keratin Luxurious Shampoo is wonderful for all hair types, and especially helpful for those with dry, chemically treated hair that is in need of extra moisture. Combined with our natural botanicals, the keratin protein repairs and restores stressed out hair to eliminate frizz and add healthy shine. 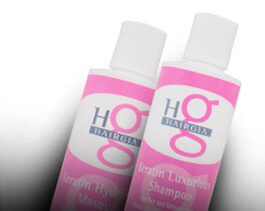 Most people find that after using our Keratin line of hair products, their hair blow dries quickly and without frizz! Gentle enough for everyday use and it smells wonderful! DIRECTIONS: Apply desired amount of Keratin Luxurious Shampoo to wet hair. Lather, rinse thoroughly, and repeat as needed. 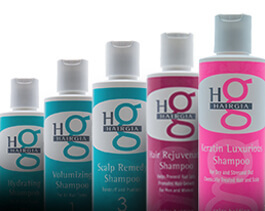 Follow shampoo with HairGia’s Keratin Hydrating Masque. The Hydrating Masque can be used as a daily conditioner or as a weekly hydrating hair mask depending on the level of conditioning your hair needs. Before styling, apply a small amount of Saharan Liquid Gold Argan Oil to damp hair and work through with your hands. Style as usual. Hair will be hydrated and silky smooth all day! We believe that hair care products should be good for your hair and for the environment, which is why our products are always sulfate-free and made with natural botanicals for luxurious hair care you can feel great about. Aloe vera, ginseng, rosemary, and other gentle ingredients promote healthy hair growth and leave your hair with a brilliant shine. Our shampoos, conditioners, and styling products are tested by our own family to make sure each product provides the best results. Questions, concerns, or feedback about our products? Please contact us online today! This stuff is literally amazing, I use it with the Hydrating Keratin mask and i don’t ever EVER remember being this satisfied with a product, the shampoo lathers so nicely and smells great!!! My hair always feels amazing after using it. Seriously couldn’t recommend a product more.